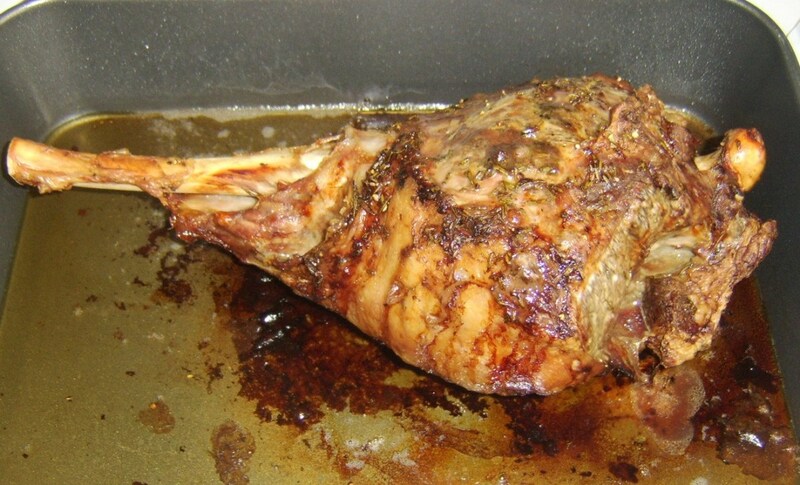 Lamb is a hugely popular meat in many parts of the world, such as North Africa, the Middle East, parts of Asia, and the United Kingdom. For some reason, however, it is perhaps less popular in places such as North America and much of Europe. This is perhaps due in some instances to the fact that lamb can often be a very greasy meat where it is not cooked in an appropriate fashion, as well as the fact that lamb chops in particular can often contain as much fat as meat, leading to a perceived lack of value for money. 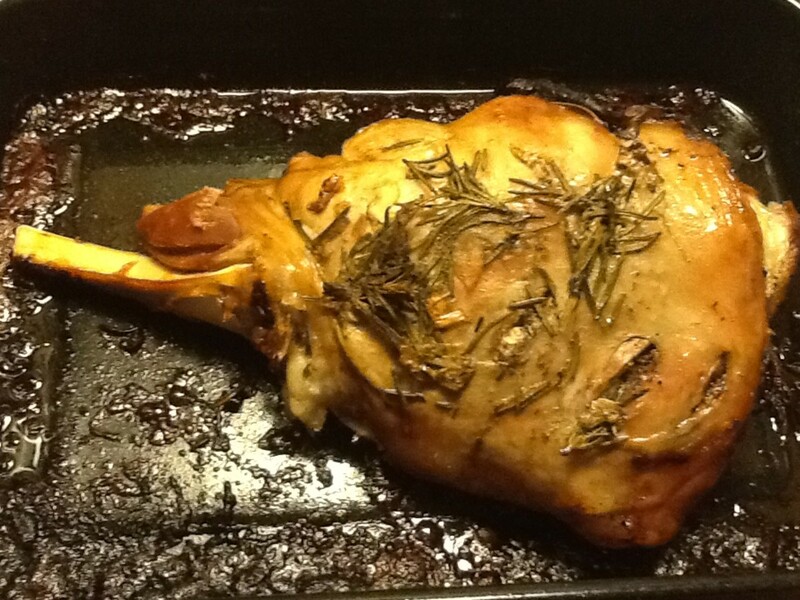 One of the ways, therefore, of enjoying lamb at its very best is by cooking a whole leg of lamb, which can easily feed six to eight people. Unquestionably, the best ways of doing this are by cooking it butterflied on an outdoor grill or—as in this instance—roasting it in a domestic oven. 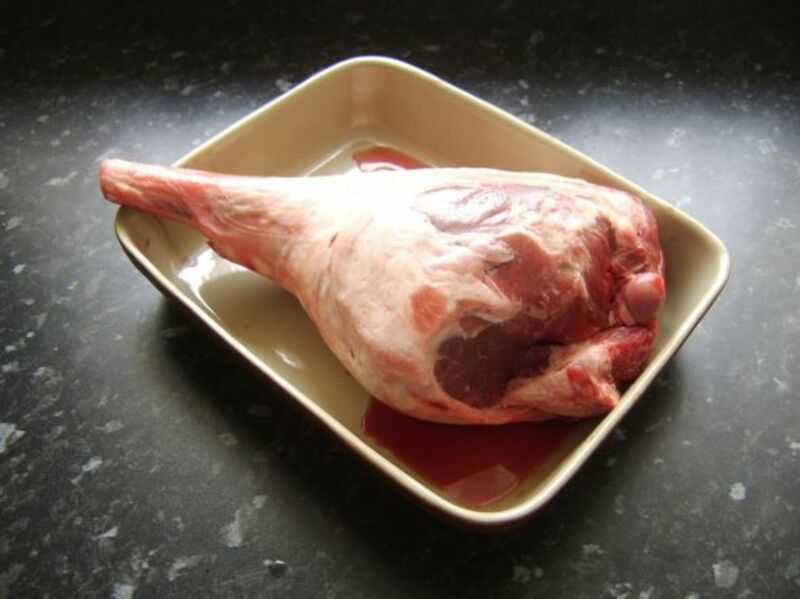 If you buy a whole leg of lamb for cooking, very often you will purchase it frozen. If this is the case - as with any joint of meat - it is vital to defrost it fully before it can be cooked. Take it from the deep freeze about thirty-six to forty-eight hours before you intend putting it in to the oven. Remove any wrapping and sit it in a deep dish, large enough to comfortably contain the defrosting juices. Sit the dish on the bottom shelf of your refrigerator. You can cover it loosely with foil or plastic wrap if you wish. 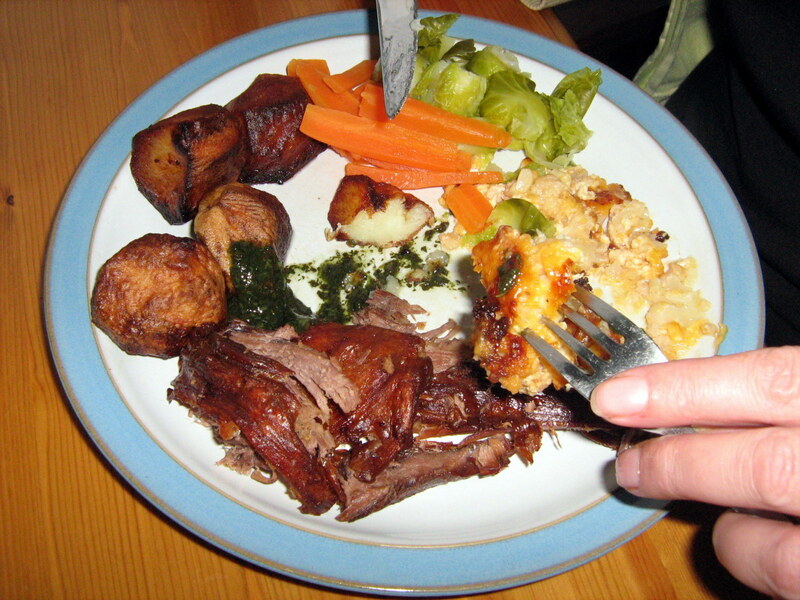 Remove it from the fridge two or three hours before it is to be cooked, cover and leave it to reach room temperature. 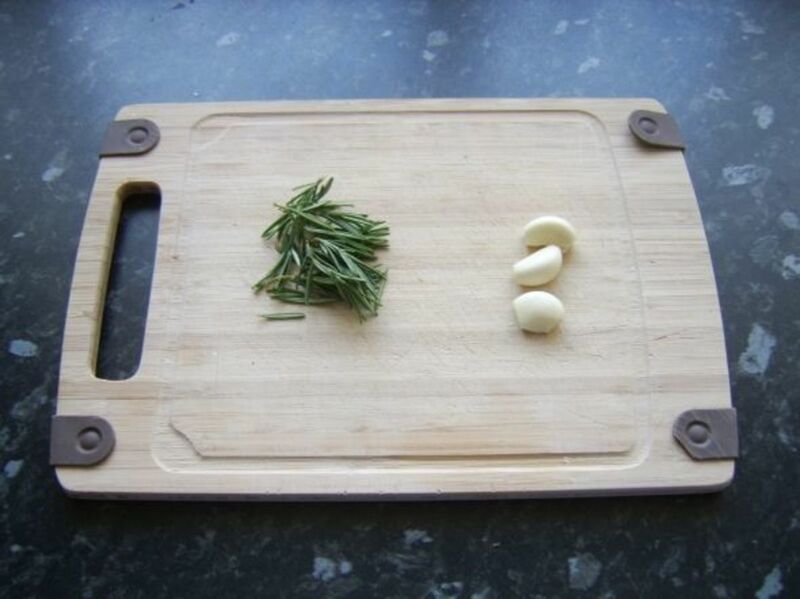 There are also certain kitchen tools which will be essential for cooking and preparing your leg of lamb. 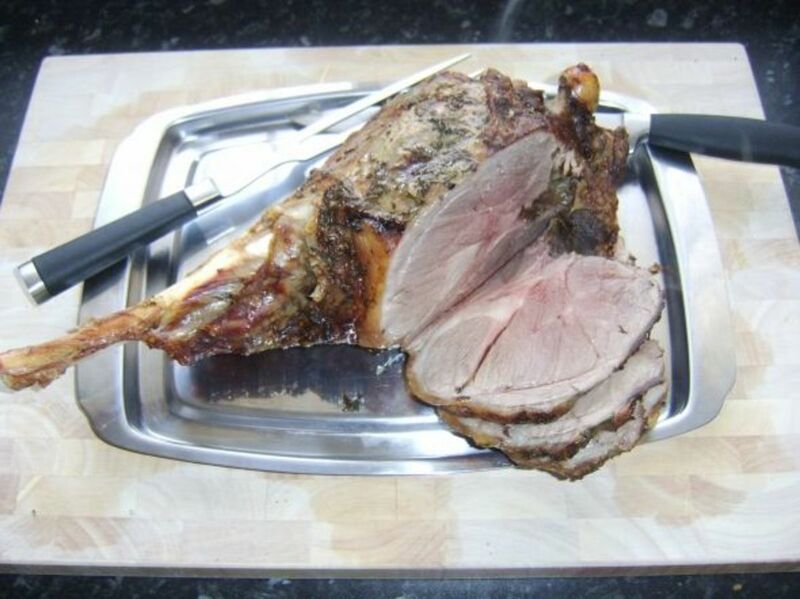 You will need a large roasting tray, a carving knife and fork and ideally a proper tray on which to carve and perhaps even serve the meat. 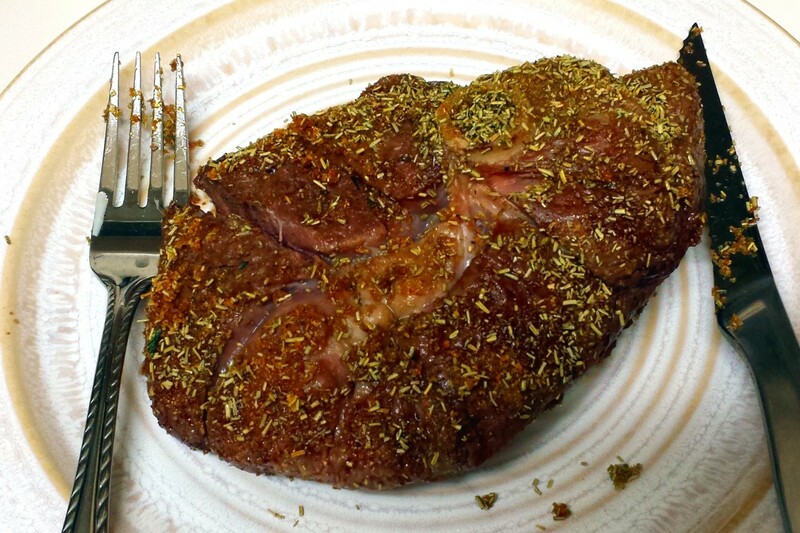 It is important to add additional flavourants and seasonings to your leg of lamb before you put it in to the oven. 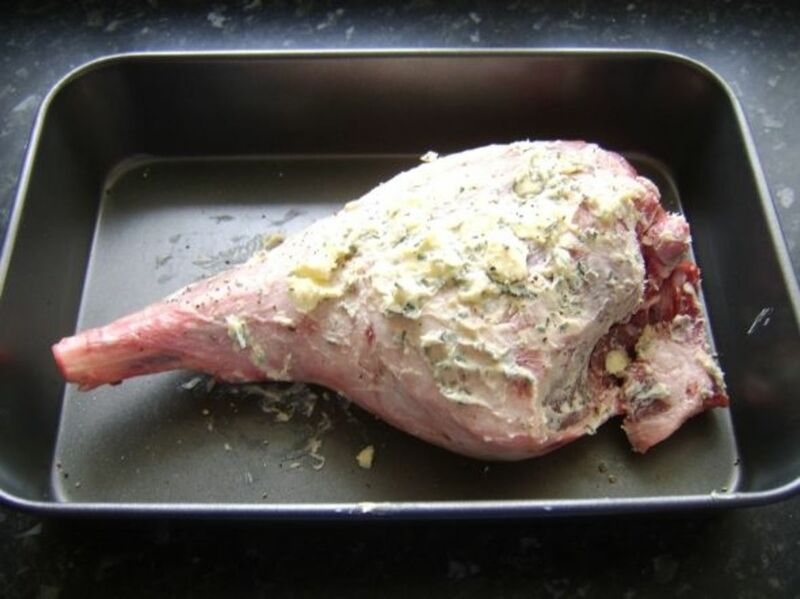 Very often, small pieces of rosemary and garlic will be stuffed in to small piercings on the skin of the lamb. 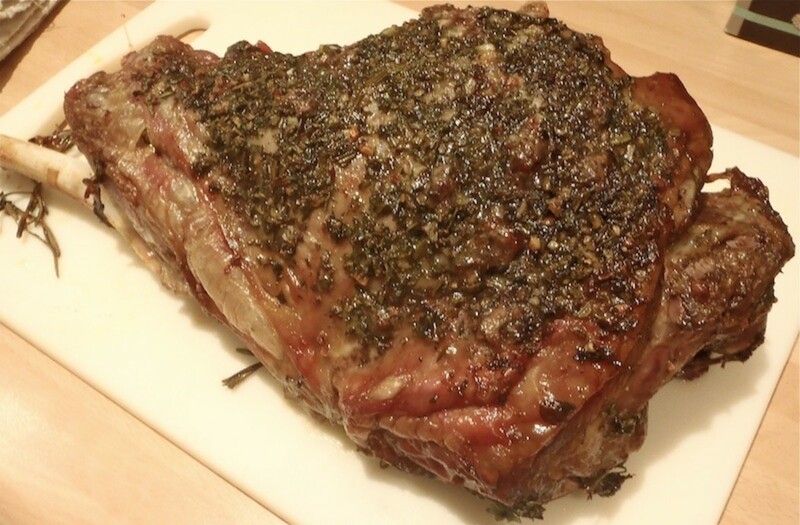 This is an excellent way of achieving the desired result but it can lead to burned garlic or rosemary adding a little bit of bitterness to parts of the meat. This similar idea is much quicker and eliminates the risk of burning. Put your oven on to preheat to an initial 450F/220C. 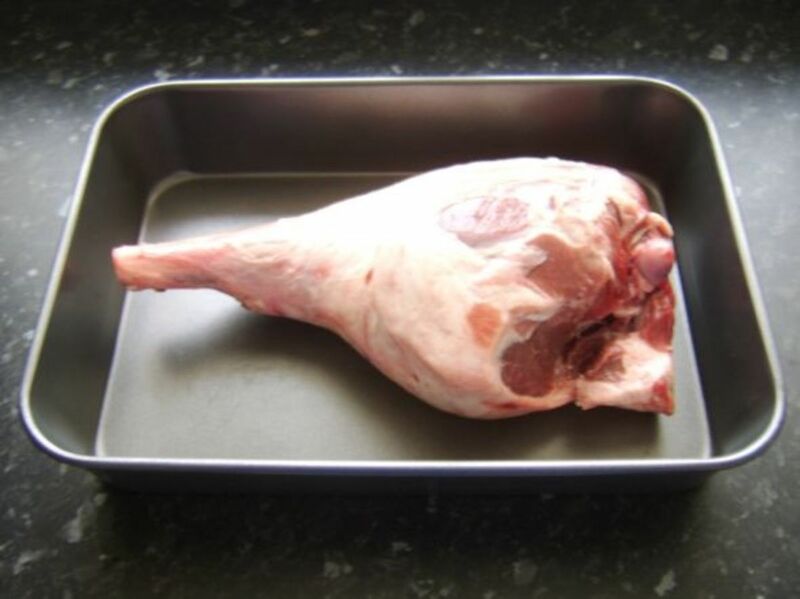 Wash the leg of lamb under running cold water and carefully pat it dry all over with kitchen paper. Sit it on the roasting dish and using the tip of a small paring knife, make multiple incisions all over to a depth of around half an inch. 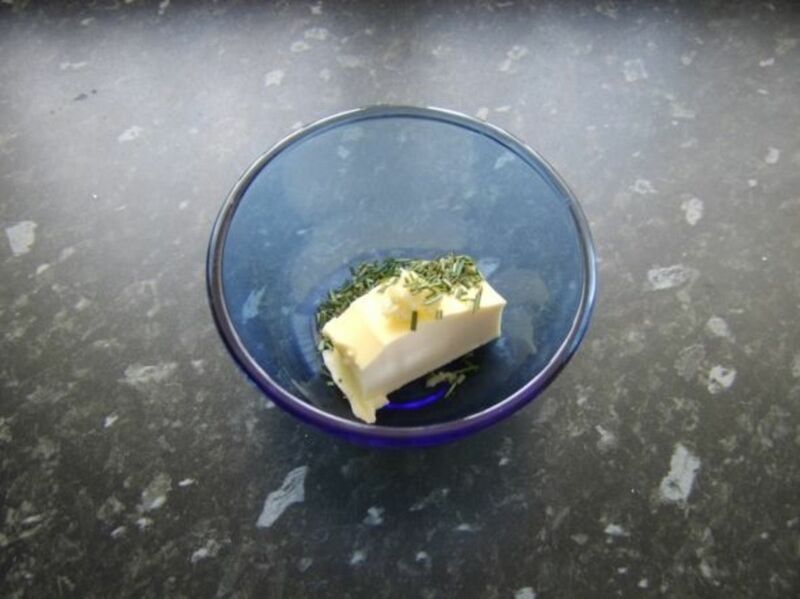 Put the butter, rosemary and garlic in to a small bowl. If the butter is still hard from the fridge, use your hand rather than a spoon to mix and squeeze all the ingredients together. When it comes to rubbing the lamb with the butter, it is much easier to use your hand anyway to rub it evenly over the top of the meat. Put the tray in to the oven for twenty minutes per pound and twenty minutes over. (Remember to adjust cooking time per manufacturer's instructions for fan assisted ovens. In this instance, the twenty minutes over was omitted). After the initial twenty minutes, reduce the heat to 350F/180C. 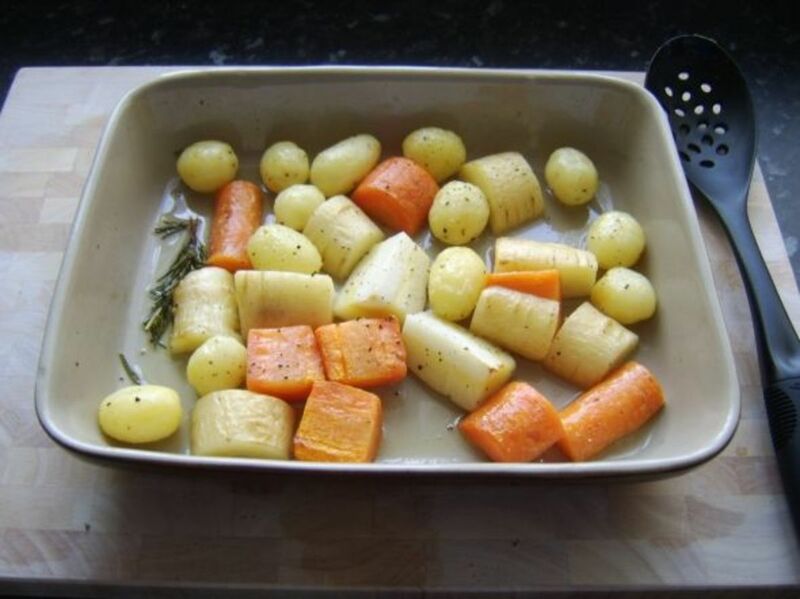 The accompaniments which you serve with your roast leg of lamb can be entirely of your own choosing but this simple recipe for root vegetables roasted in duck fat worked very well and went very well with the lamb. 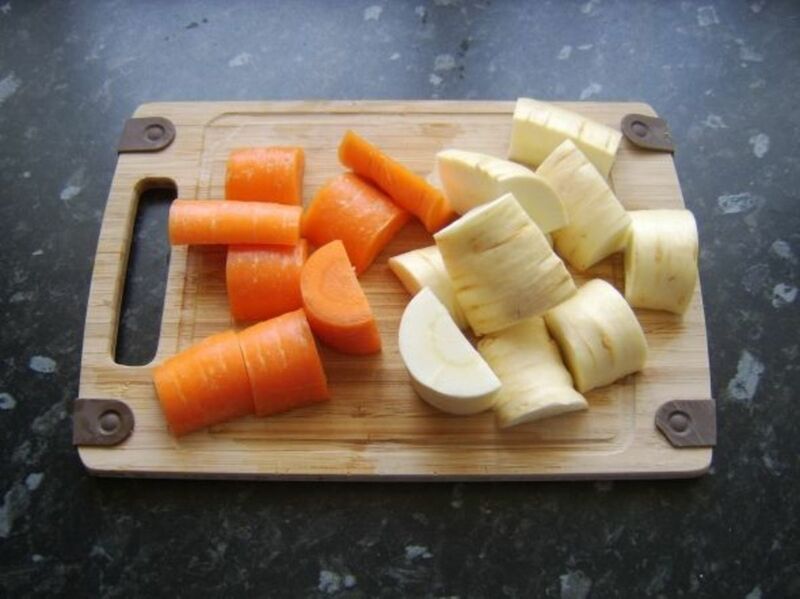 Put the whole, unpeeled potatoes in to one pot of salted cold water and the parsnip and carrot in to another. 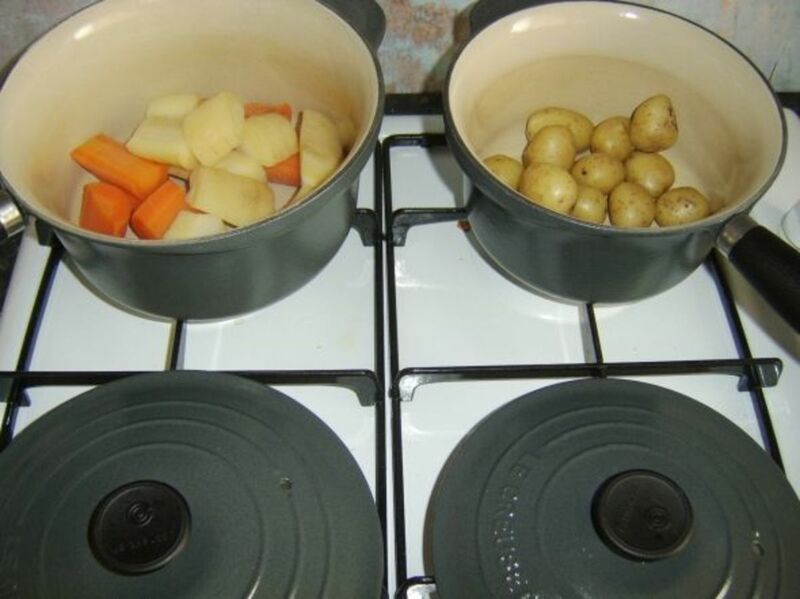 Bring the water in both pots to a simmer. 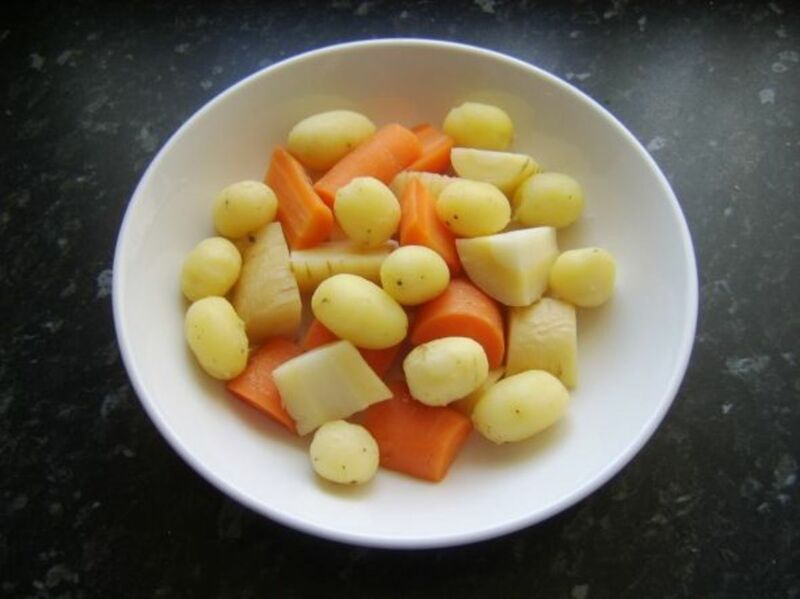 The potatoes should be simmered for twenty minutes and the parsnip/carrot for fifteen. 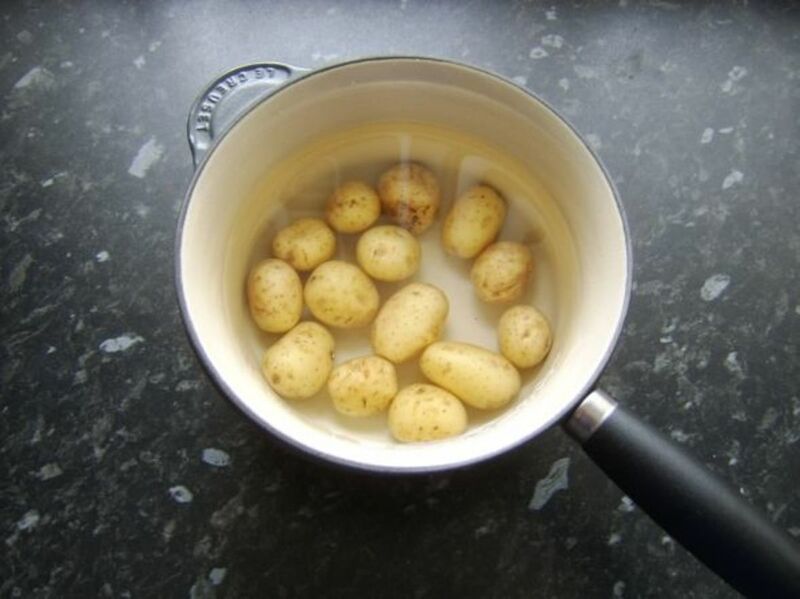 Drain, return to the empty pots and leave to steam uncovered for five minutes. This gets rid of the excess moisture and prevents the vegetables being soggy after they have cooled. Cover and leave to cool completely. Lift the tray of hot duck fat from the oven. 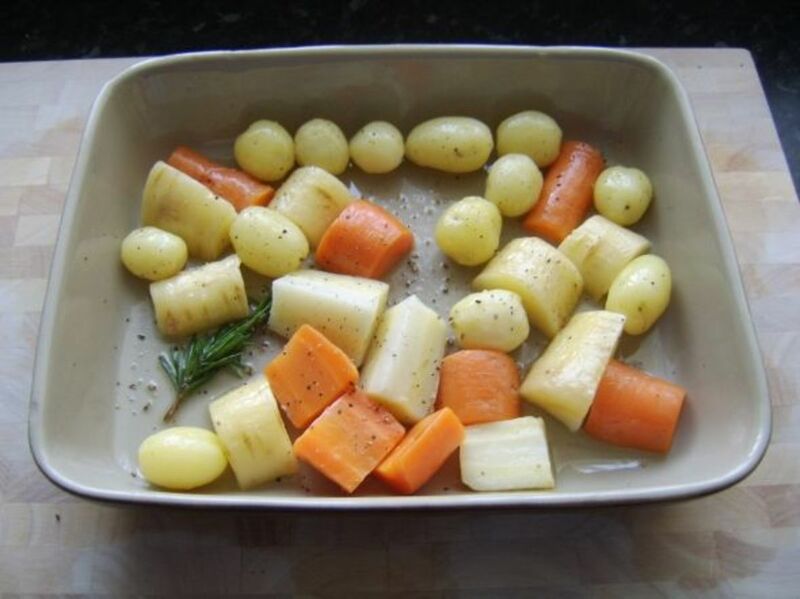 Add the vegetables and rosemary before seasoning with salt and black pepper. Stir very gently with a wooden spoon to coat everything evenly in the fat. Return the tray to the oven for twenty minutes. A few minutes before the vegetables are due to come out of the oven, transfer the lamb to a carving tray. Holding it steady with the carving fork, begin slicing the lamb with the knife, turning the tray and ultimately the leg as required. 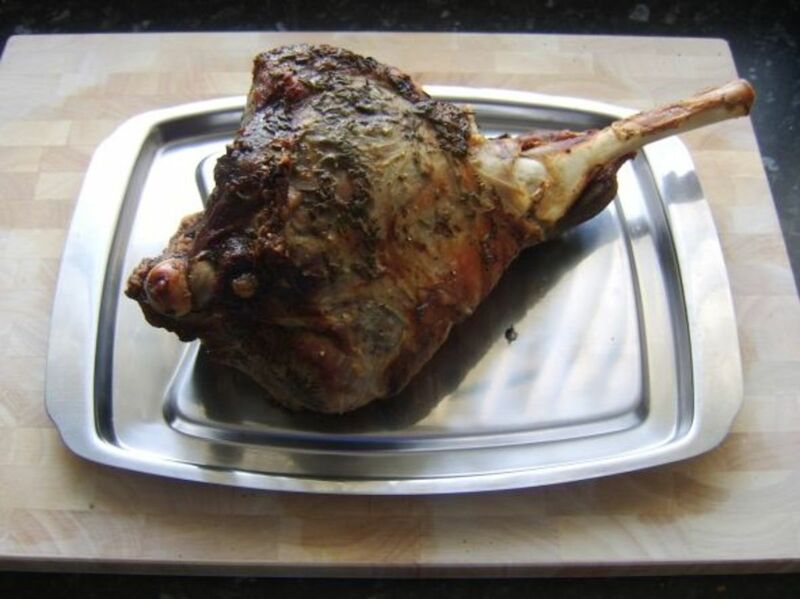 You may find it easier to have a plate handy for laying on the slices of lamb. 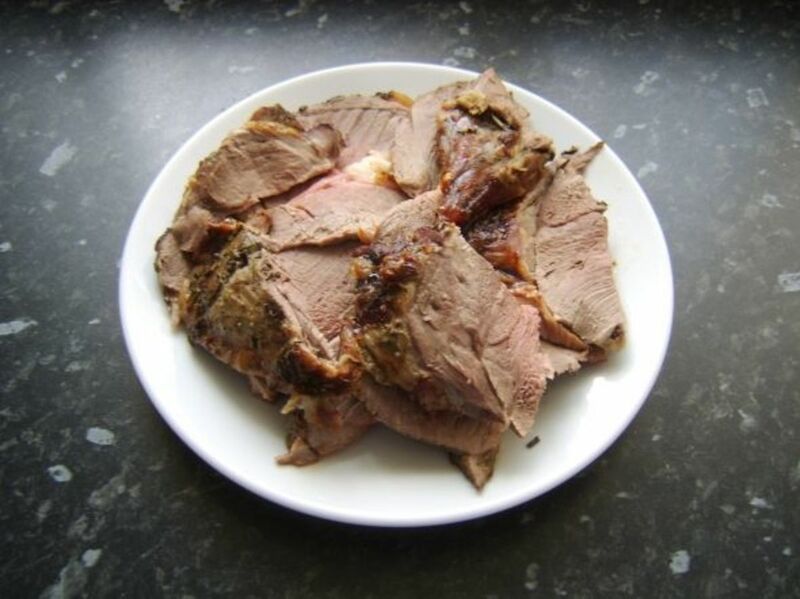 Lay around three slices of lamb on each serving plate. 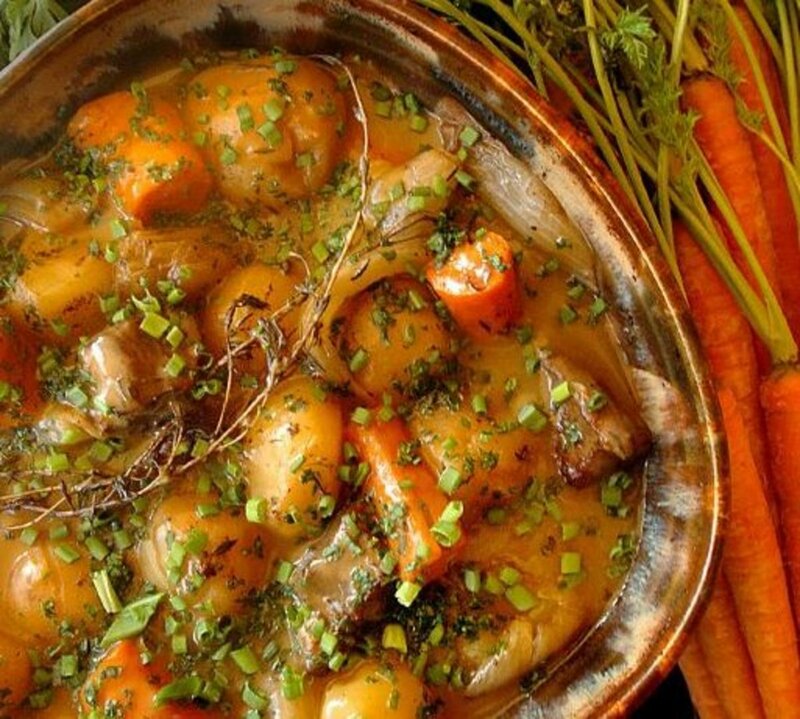 Remove the vegetables from the oven and plate alongside the lamb with a slotted spoon. 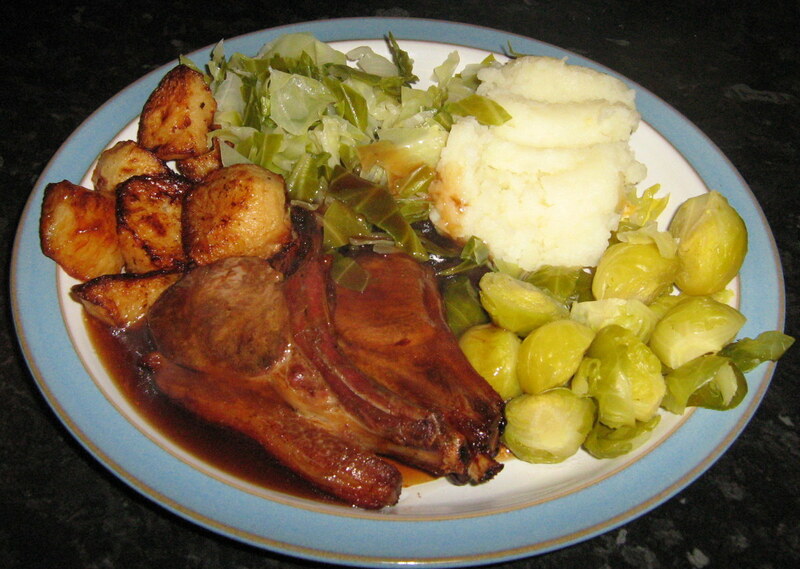 An optional couple of teaspoons of mint sauce makes an attractive addition and is of course delicious served with lamb.